How many referrals has your team closed this week? The thing is, that even everyone knows that referrals are the best type of lead, for some reason, only a small percentage of techs and salespeople actively ask for them. The tech or salesperson gets caught up in the work and running the system and just forgets to ask. Sometimes, it’s been a long, grueling job – and frankly, they get lazy. So at the end of the call, they become transfixed with just being done and getting out of there. Most often, though, techs and salespeople don’t ask for referrals because it makes them feel salesy or pushy. They’re worried asking will make them look sleazy. Whatever the reason for not asking, it’s not a good reason. If you and your team aren’t actively seeking referrals, I guarantee you you’re leaving 6 or even 7 figures of revenue on the table every year. Bam! That hurts to think about, right? So let’s talk about how you can fix this little BIG problem. Referrals are treated by most people as some optional extra thing you may or may not bring up at the end of the call. The first thing you need to do is stop that casual attitude toward referrals dead in its tracks and make it clear to everyone on your team that referrals are a top priority every day and on every call. But you can’t just pound your fist on the table and mandate it like a dictator. Well, you could, but it won’t be very effective. People look at mandates as “another chore” or another required task they have to go through the motions on. You want your team to understand the ‘why’ behind referrals, buy into them, and even be passionate about seeking them out. To effectively communicate the importance of referrals to your people, you need to communicate it properly and often. In meetings, one-on-one, while you’re refilling your coffee in the breakroom… everywhere. Let’s break that down into 3 main categories and go through some talking points for each category. You might answer, “people call in when they have a problem”, and that would be right. But how do they know to call your shop when they have a problem? Phone books, web pages, directories, coupons, TV and radio ads, your trucks, billboards, signage… all that stuff you invest big bucks in to keep the phones ringing. Each and every lead or phone call comes with a price tag. Sometimes a hefty one. If you get the job, it’s all worthwhile. If you don’t, it’s like flushing money down the porcelain waste removal system. Now, what does a referral cost? Ah-ha! Nothing. Referrals are a fountain of free leads! If you could average one referral per call, and close 50% of them – what would that add to your bottom line? I’m serious. I encourage you to do this math using your own numbers. You’ll kick yourself… and then afterward you’ll get very excited about referrals. What if you could average two referrals per call? Or close more than 50%? If your mind isn’t spinning right now, it should be! We’re talking about a significant amount of extra business! Referrals are free leads for the company. Referrals are easier to close since the customer is somewhat pre-sold. The money saved on referral leads (and earned through them) can be used for other things: Comp, new trucks, etc. Employees benefit from referrals, too – and they need to understand exactly how they benefit from asking for them on each and every call. Who in your company should be actively pursuing referrals? If you said, “every living, breathing person who works here”, you’re right! It’s not just up to the techs and salespeople. All of your employees have friends, family, and neighbors. They all know someone whose plumbing eventually fails or whose furnace goes kaput. Get the whole staff in on referrals. Consider offering a bonus program for non-selling team members who turn in referrals. You can give them a small bonus for a referral, and then another bonus if it sells. Structure it any way you want, but whatever you do, make sure your entire staff gets in on referring customers. Referrals keep techs and salespeople working even when the phones aren’t busy. Referrals give your team more (and better) opportunities to significantly boost their income. More opportunities as a result of referrals equals more job security for everyone. Seeking out referrals allows your team to directly affect their own hours, job security, and income. Referrals are even good for your customers. The customer who gives you a referral is not only re-confirming their own decision to do business with you by referring you to a friend, but they’re also helping out a friend in need. When they say, “You should talk to this company”, they’re relieving the stress and worry their friend has over choosing the right contractor to help them with their current problem. If you go about the referral process the right way, it’s a true win-win-win situation for the company, all the employees, and the customers. I’m going to share the simplest way with you right now, and then in my next article, I’ll give you 25 more creative ways to get all the red-hot referrals you can handle. I really enjoyed working for you and your family today. Is there anything about our service we could improve? 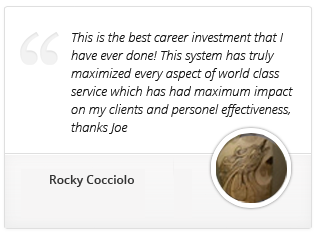 It’s always great to find great customers like you who appreciate the work we do. What advice would you give me to find more great customers like you? If your techs and salespeople do that consistently at the end of every call, you’ll start to see your referral numbers rise over time. Also, if you’re not tracking referral numbers, start today! And if you want to learn more about how to be an outstanding leader and coach who always gets peak performance from your team, take a look at our Performance Coach Training Program. 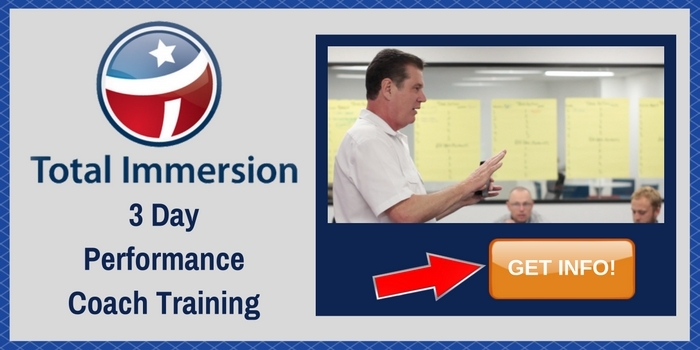 You’ll learn how to motivate, inspire, and train your people like never before! Remember to watch for next week’s article to learn 25 more creative ways to generate as many referrals as you can handle!